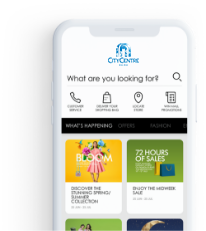 Centrepoint represents the Landmark Group’s strategy to synergize its Babyshop, Splash , Shoemart and Lifestyle core retail concepts under one Centrepoint store identity, thereby projecting a single destination shopping experience. Centrepoint offers great value for one in a visually exciting destination for the whole family. With four great brands in one destination, Centrepoint offers a single destination shopping experience.